Hepatocellular carcinoma (HCC) is a severe cancer with an increasing incidence and is the fifth most prevalent cancer worldwide [1–3]. Viral infections, such as hepatitis B and hepatitis C, are usually associated with liver cirrhosis and HCC tumorigenesis [2, 4]. HCC remains an important global clinical challenge due to its high incidence, limited treatment strategies, and poor prognosis . Therefore, strategies based on a personal need to treat HCC, such as discovering potential biomarkers and therapeutic targets, are urgently needed. The present study explored how HCC-related long noncoding RNAs (lncRNAs) serve as competitive endogenous RNAs (ceRNAs) to regulate target genes and how they affect the pathogenesis and prognosis of HCC. Although noncoding RNAs (ncRNAs) lack protein-encoding abilities, they are ubiquitous in organisms . As a subtype of ncRNA greater than 200 nucleotides in length, lncRNAs were once considered transcriptional noise. Several studies have indicated that lncRNAs have many pivotal functions in tumor-related processes, including proliferation, invasion, and metastasis [7–9]. However, verification of the regulatory roles of lncRNAs in gene expression remains difficult. Currently, many researchers are working to reveal the different biological functions of lncRNAs in malignant tumors. Recently, a growing number of studies have verified that the lncRNA–miRNA–mRNA regulatory network plays a critical role in the progression and pathogenesis of several tumors, including liver cancer, gallbladder cancer, and other malignant tumors [13–15]. 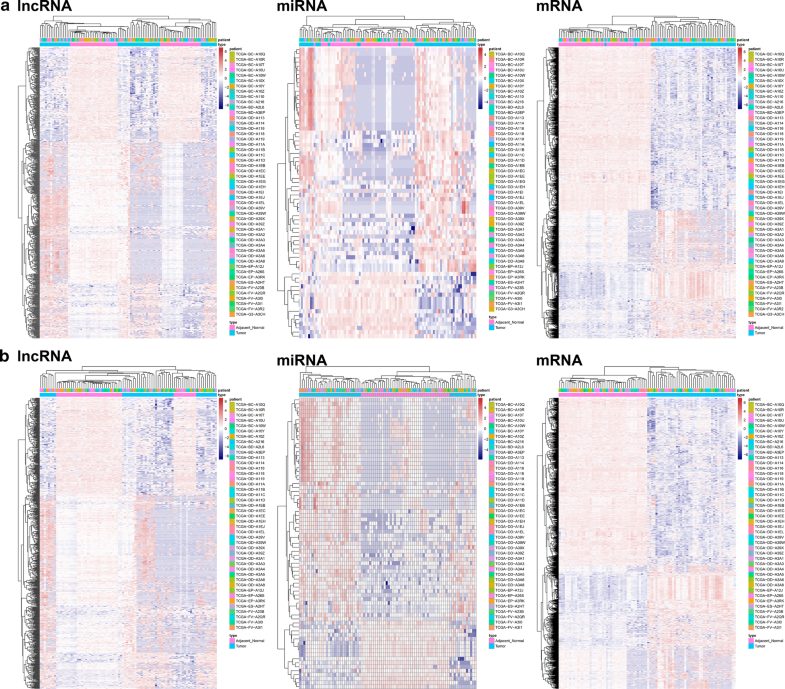 lncRNAs with sequences similar to their target miRNAs can separate miRNAs from mRNAs. Wang et al. demonstrated that the lncRNA HULC influenced PRKACB gene expression by competitively combining with the miRNA miR-372 and thus participated in liver cancer pathogenesis . Wang et al. confirmed that lncRNA H19 acts as a molecular sponge to absorb miR-342-3p in gallbladder cancer and upregulate FOXM1 gene expression . To ensure the functions of the lncRNAs, miRNAs, and mRNAs in the ceRNA network and to further improve the ceRNA network reliability, a coexpression network of DElncRNAs, DEmiRNAs, and DEmRNAs was constructed; the ggalluvial R package (Version: 0.9.1) was used to visualize the ceRNA network . Using the miRcode database (Version 11; http://www.mircode.org/), we confirmed the interactions between DElncRNAs and DEmiRNAs. miRcode, which is an integrated, searchable map of putative target sites of miRNAs, includes the complete transcriptome annotated by the ENCyclopedia Of DNA Elements (ENCODE) . The existing version contains 10,419 lncRNA genes. DEmRNAs targeted by the DEmiRNAs were retrieved from the miRDB (Version 5.0; http://mirdb.org), miRTarBase (Version 7.0; http://mirtarbase.mbc.nctu.edu.tw/), and TargetScan (Version 7.2; http://www.targetscan.org/vert_72/) databases [20–22]. miRDB refers to an online database used to predict miRNA targets and make functional annotations . 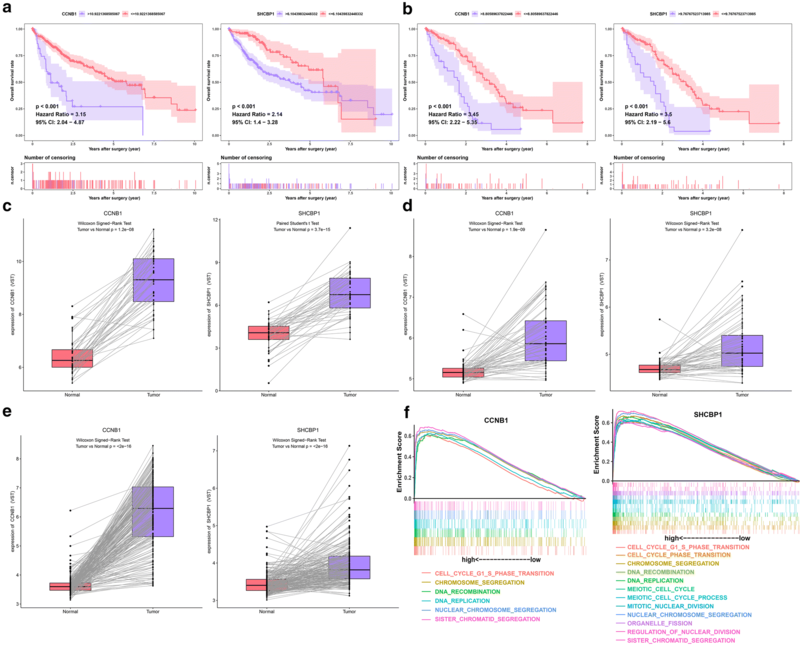 MirTarget is a bioinformatics tool that was developed based on the analysis of thousands of interactions among miRNA targets from next-generation sequencing experiments  and was used to predict all targets in the miRDB database . The DEmRNAs targeted by DEmiRNAs were verified by experimental studies using reporter assays, qRT-PCR, microarray analysis, Western blotting, and high-throughput sequencing experiments reported in miRTarBase . TargetScan was used to search for conserved 6-mer, 7-mer, and 8-mer sites that corresponded to the seed regions of every miRNA to complete the prediction of biological targets of miRNAs . 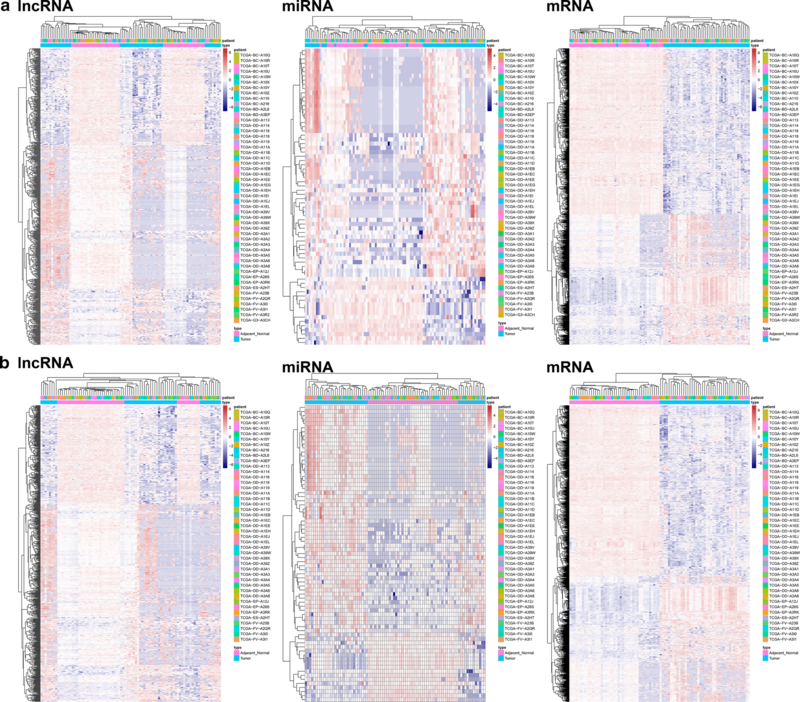 Although our ceRNA network identifies many HCC-related lncRNAs, miRNAs, and mRNAs, the correlation and the extent of ceRNA effects in vivo remain poorly understood. Recent experimental studies have shown that miRNA-mediated competition between ceRNAs plays a vital role in many biological contexts by constituting additional levels of posttranscriptional regulation . Sensitivity analysis demonstrates that repression mechanisms and binding free energy are vital factors for cross-talk between ceRNAs. Interactions that occur within a particular range of inhibitory values can be asymmetric (one ceRNA influences another but not the reverse) or symmetrical (one ceRNA influences another and vice versa) and can be limited by noise; at the same time, the interactions can be highly selective . All in all, there are many criteria for validating ceRNA networks, such as cellular concentrations of RNA-binding proteins (RBPs) and miRNAs, timescales, steady-state parameters, kinetic parameters, the absolute concentration of the effective target pool, the miRNA:target ratio, miRNA concentration, the size and affinities of the competing target pool, quantitative measurements of miRNA, target abundance, and so on [61–65]. Therefore, our results still need to be verified through in vivo and in vitro experiments and clinical practice. Although the ceRNA network has many interference factors in experimental verification, this deficit did not hinder the reliability of the ceRNA network because our network was based on rigorous processes. First, we included only cancer-specific lncRNAs, miRNAs, and mRNAs that had an absolute fold change > 4 and an adjusted P-value < 0.01. 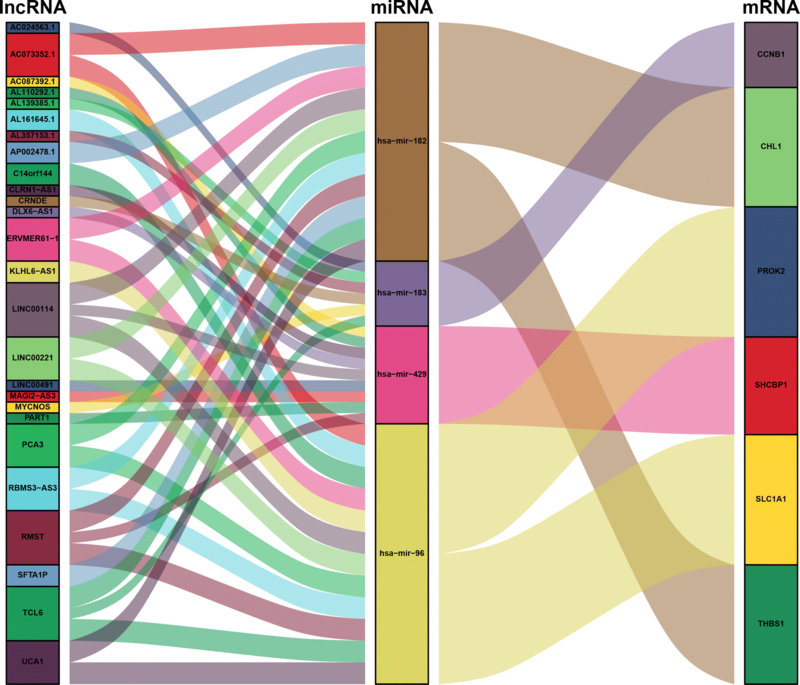 Second, the interactions between DElncRNAs and DEmiRNAs and between DEmiRNAs and DEmRNAs were predicted by experiment-supported databases, such as miRTarBase. These two approaches guarantee that the interactions identified not only occur in silico but are also based on experimentally supported evidence. Therefore, we believe that the genes in the current ceRNA network are important for HCC. In the future, with the emergence of larger sample sizes, better databases, and better algorithms, a more comprehensive ceRNA network will be constructed. In addition, further research is warranted on the functions of key ceRNAs in vivo and in vitro. 12935_2019_817_MOESM1_ESM.docx Additional file 1: Table S1. Differentially expressed genes between HCC samples and paired nontumorous samples. 12935_2019_817_MOESM2_ESM.docx Additional file 2: Table S2. Forty-four DElncRNAs interacted with nine DEmiRNAs retrieved from the miRcode database. 12935_2019_817_MOESM3_ESM.docx Additional file 3: Table S3. Four DEmiRNAs interacted with six DEmRNAs retrieved from the miRDB, miRTarBase and TargetScan databases. 12935_2019_817_MOESM4_ESM.docx Additional file 4: Table S4. Interactions of the ceRNA network in HCC. 12935_2019_817_MOESM5_ESM.docx Additional file 5: Table S5. The connection degree of each gene in the ceRNA network. 12935_2019_817_MOESM6_ESM.docx Additional file 6: Table S6. Eighteen DElncRNAs were associated with the overall survival of patients with HCC in the TCGA HCC cohort. 12935_2019_817_MOESM7_ESM.docx Additional file 7: Table S7. Six DEmRNAs were associated with the overall survival of patients with HCC in the TCGA HCC cohort. 12935_2019_817_MOESM8_ESM.docx Additional file 8: Table S8. Seven DElncRNAs were associated with the overall survival of patients with HCC in the meta-GEO HCC cohort. 12935_2019_817_MOESM9_ESM.docx Additional file 9: Table S9. 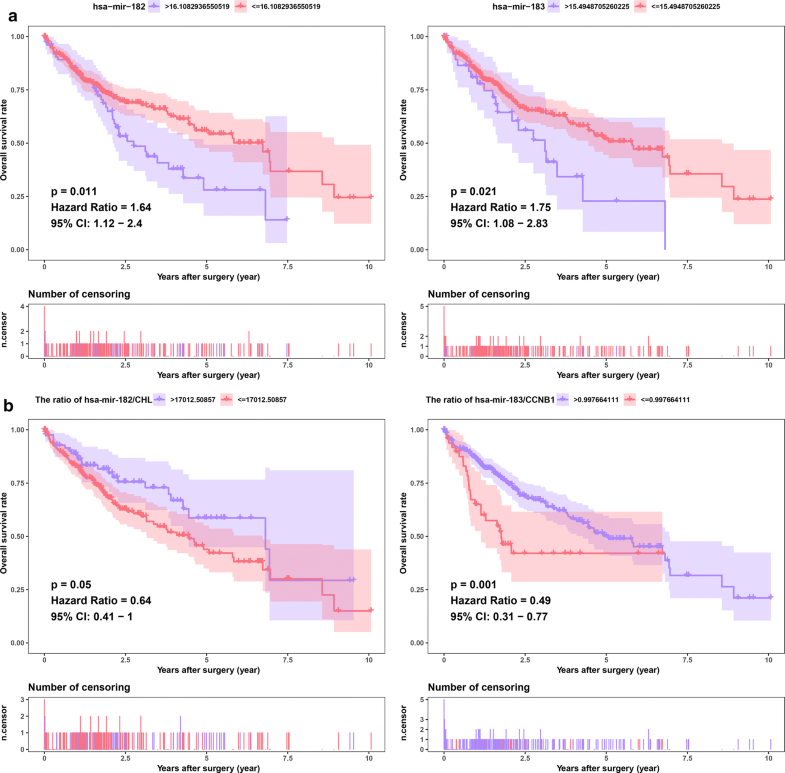 Five DEmRNAs were associated with the overall survival of patients with HCC in the meta-GEO HCC cohort. 12935_2019_817_MOESM10_ESM.docx Additional file 10: Table S10. Three DEmiRNAs were associated with the overall survival of patients with HCC in the TCGA HCC cohort. 12935_2019_817_MOESM11_ESM.docx Additional file 11: Table S11. Gene enrichment in the high CCNB1 expression group of patients with HCC in the TCGA HCC cohort. 12935_2019_817_MOESM12_ESM.docx Additional file 12: Table S12. Gene enrichment in the high SHCBP1 expression group of patients with HCC in the TCGA HCC cohort. 12935_2019_817_MOESM13_ESM.r Additional file 13. R code.